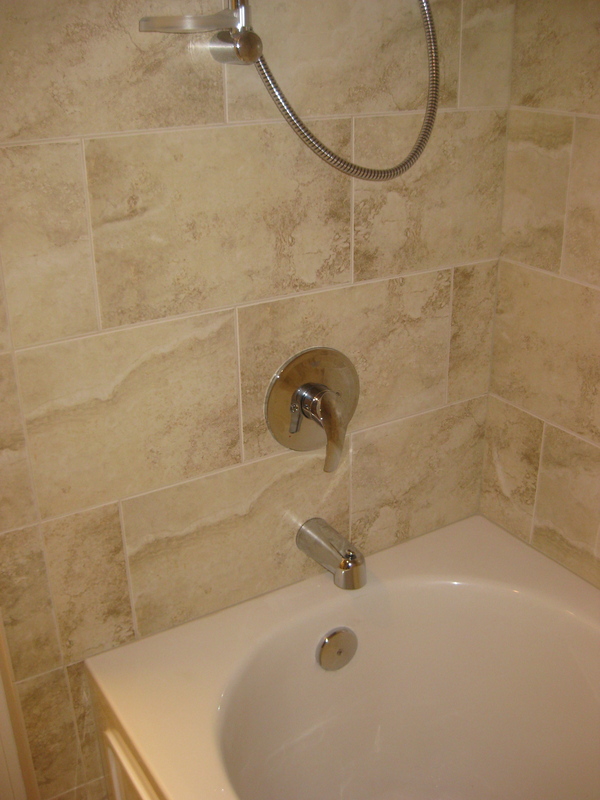 M K Bathroom 2011 | Alex Freddi Construction, LLC. 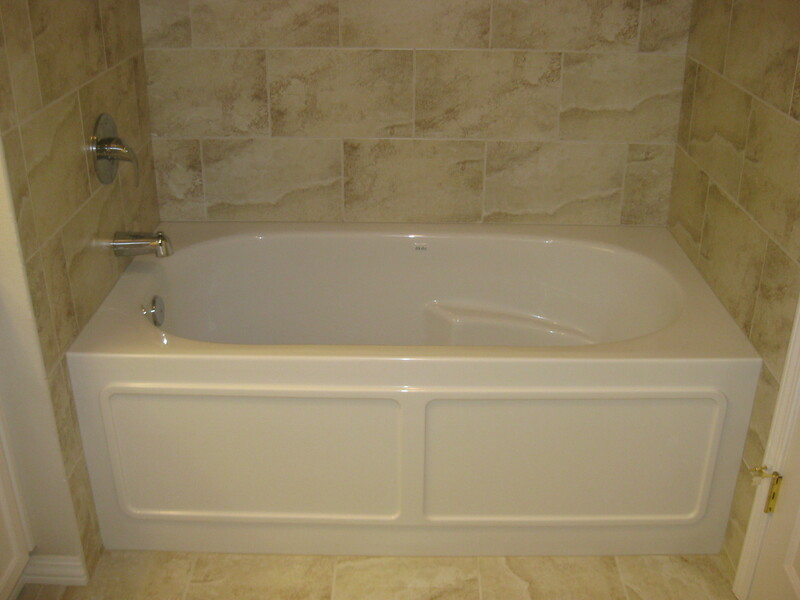 A standard alcove acrylic tub measures 60”x32”. 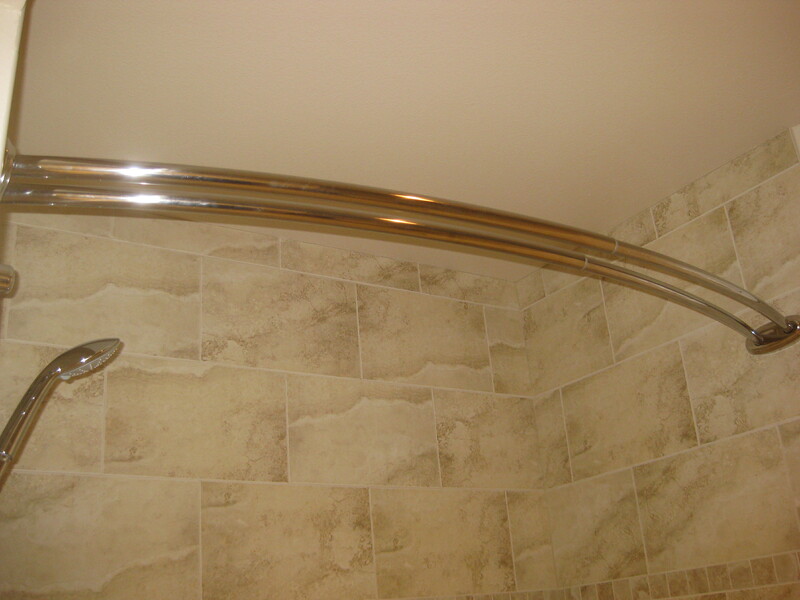 This curved double curtain bar allows for more space while taking a shower. One bar holds the liner, and the other a decorative curtain.